With Christmas 2008 just a short dogleg, par four away, you are undoubtedly looking for that perfect gift for the golfer in your life who has every gadget ever created for the game. Well stop searching in the dark, chip your ball back into the light, get to your favorite book provider and procure a copy of A Hacker’s Humiliations: A Glossary of Golf Grotesqueries. Joel Zuckerman’s latest volume is lighthearted, amply illustrated, and, in a humorous sort of way, truthful. Zuckerman (and illustrator Tom Matthews) have cleverly put together a collection of virtually every golf-afflicted malady that every golfer has at sometime experienced on and perhaps off the golf course. From the tee box to the putting green Joel Z. has hit the game’s frustrations right on the tee. Whether it be the golfing disorder or the player that is terminally afflicted, Zuckerman has it pegged for our reading pleasure. On the tee box you’ll meet Dr. Double Cross and instantly recognize him as one of your most recent playing partners. 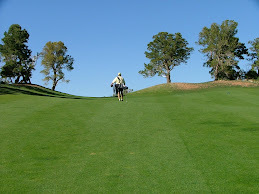 In the fairway you’ll share the travails of Uneven Steven who never found an uneven lie which he could parley precisely. And around the greens the mortal terror of the bunker regurgitates a host of memories for all of us to share. Moreover, just to prove that game is not selective in its torment to only the legions of dubs who flood the fairways everyday, Zuckerman has peppered the pages with a few “Hacker Hall of Fame Moments.” You’ll get a flashback to the Jean Van de Velde tragedy, a gut wrenching recount of the Calcavecchia Ryder Cup hosel rocket, and a couple other professional frailties that prove all golfers are subject to the disasters of the game. Zuckerman’s style is animated and the composition of the book makes for a quick and enjoyable read. You could easily read it at one sitting or systematically digest it in a “devotional” style. For that “hard-to-shop-for” golfer on your list, A Hacker’s Humiliations is a seasonal solution. Great post and great site. Hope you will stop by my site sometimes and check out my stories on hackeritist.